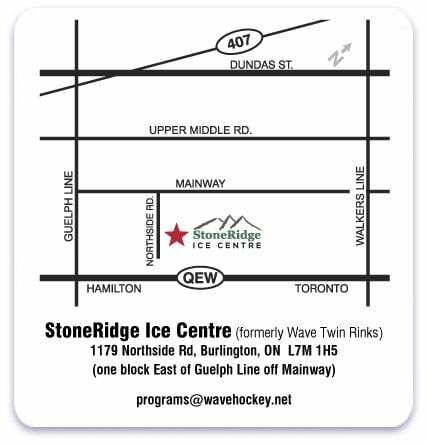 All ARL games are played at either the StoneRidge Ice Centre or the Appleby Ice Centre, both of which are located in Burlington, Ontario. Please check your team’s schedule regularly to ensure you arrive at the right location. This is the home arena of the ARL. The vast majority of games are held at the StoneRidge Ice Centre (formerly the Wave Twin Rinks). The arena is located in Burlington and sits right off of Mainway. There are 2 pads; Red and Blue. The Appleby Ice Centre is located in Burlington on Appleby Line, just north of the QEW. It features 4 ice pads. While the majority of games are played at the StoneRidge Ice Centre, Appleby Ice Centre holds a good portion of them as well. 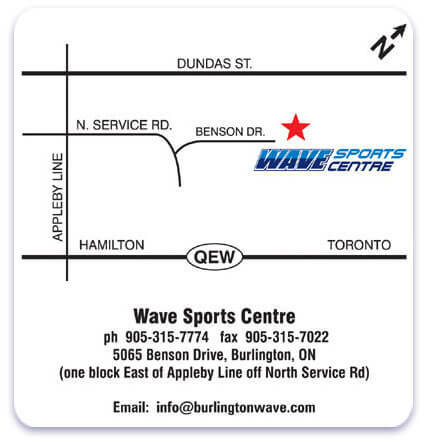 The Wave Sports Centre (“WSC”) is a single pad arena located east of Appleby Line. The Wave Sports Centre is sometimes used by Wave ran learn-to-play sessions.